VIENNA — Shukri Ghanem, a former Libyan prime minister and oil minister who last year announced he was abandoning Moammar Gadhafi's regime to support the rebels who ultimately toppled the dictator, was found dead Sunday in a section of the Danube river flowing through Vienna, Austrian police said. Police spokesman Roman Hahslinger said the 69-year-old's corpse was found floating in the river early in the morning. The body showed no external signs of violence, but the cause of death was not immediately clear and an autopsy will be carried out, Hahslinger said. "There would be no signs of violence if someone pushed him in," Hahslinger said. "But it's also possible that he became ill and fell into the water." An Austrian foreign ministry official said family members initially told the ministry that Ghanem had died of a heart attack, adding that their version appeared to be plausible. He demanded anonymity because his ministry was not in charge of investigations. Ghanem was dressed normally when found in the river but had no personal identification on him other than a document that named the company he was working for, Hahslinger said. An employee of the company was subsequently contacted and identified him, the police spokesman said. Hahslinger said Ghanem apparently left his residence early Sunday morning after spending Saturday evening at home with an acquaintance. Police were alerted by a passerby who saw his body floating near his Vienna residence, close to the modernistic building housing U.N. agencies in the Austrian capital. Ghanem is a former Libyan premier who last served as his country's oil minister until 2011. He left Libya for Tunisia and then Europe in June as insurgents were pushing to topple Gadhafi, and he subsequently announced he would support the rebels. Ghanem was said to be autocratic at home but reporters covering the Organization of the Petroleum Exporting Countries remembered him as a friendly man who readily gave his cell phone number to selected journalists covering OPEC ministerial meetings and gracefully took even late-evening calls. With advanced degrees in law and economics, Ghanem served in senior positions within the Vienna-based OPEC before his appointment as Libyan prime minister in June 2003 – an office he held until 2006 when he took the oil ministry portfolio. Considered a member of Gadhafi's inner circle until his defection, he insisted that Libya bore no responsibility for the 1988 bombing of Pan Am Flight 103 over Lockerbie, Scotland, which killed 270 people. He also repudiated Libyan responsibility in the 1984 shooting death of British constable Yvonne Fletcher during a protest in front of his country's embassy – an incident that led to the severing of British-Libyan relations. Such comments branded him as a loyal servant of the Gadhafi clan. At the same time, he worked quietly from the inside to change the face of Libya. He became premier as the country began to transform itself from an international pariah accused of fomenting terrorism and crippled by sanctions to one seen as instituting reforms that led to growing economic and political ties with the United States and Europe. That process was bolstered by Gadhafi's decision to give up Libya's fledgling nuclear arms program in 2003. Ghanem's efforts were supported by Saif al-Islam, the Gadhafi son associated with the reform wing. At the same time, he was viewed with suspicion by the old guard opposed to change – and their opposition to him led to his ouster as prime minister and subsequent appointment as head of the state oil company and de-facto oil minister. He was reinstated in those positions in 2009 just weeks after his resignation, a move reflecting the power struggle between reformists and nationalists in his oil-rich North African nation. Ghanem continued to live in Vienna after Gadhafi was ousted and later killed last year in the NATO-backed rebel campaign. ____ Associated Press writer Juergen Baetz in Berlin and Rami al-Shaheibi in Tripoli, Libya, contributed. Inmarsat has announced the identities of the first 12 companies to be able offer XpressLink services under its global network of dealers. 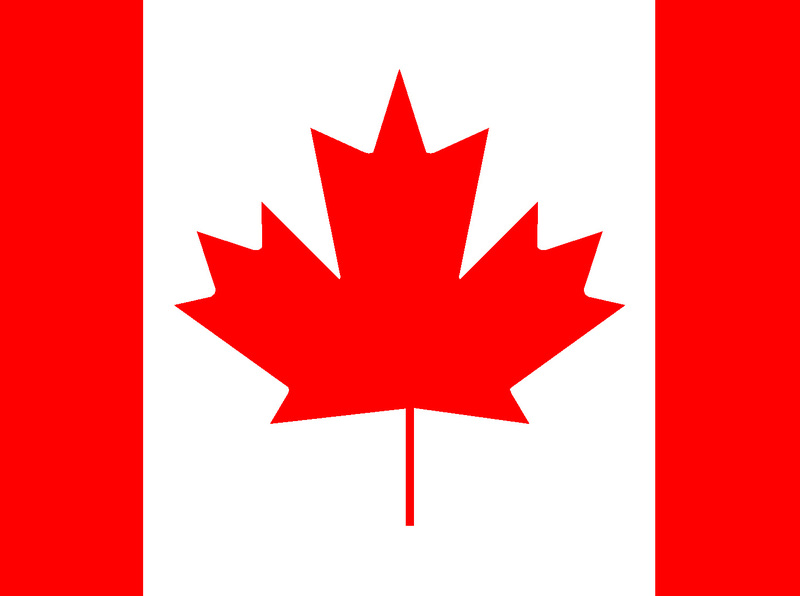 The companies are based in North America, Europe, the Middle East and Asia. XpressLink is Inmarsat's new integrated Ku-band and L-band solution, available for a fixed monthly cost. Until now the service was only available direct from Inmarsat, through a channel consisting of its subsidiaries, formerly known as Ship Equip and Stratos. The company saids that XpressLink supported always-on data speeds of 768 kbps, with a committed information rate of 192 kbps, when the VSAT service is active. Customers using XpressLink will automatically be switched to the Inmarsat Global Xpress Ka-band service when it is launched while at the same time, they will see their bandwidth double. In arriving at this list of 12 new XpressLink dealers, Inmarsat said that in early March it asked its distribution partners, service providers and system integrators to confirm their interest in becoming a seller of the service. This met with a positive response from more than 80% of those contacted, according to the company and negotiations with the majority of applicants are now at what it calls "an advanced stage." "We are excited by this endorsement of the XpressLink service as a gateway to Global Xpress," said Frank Coles, president, Inmarsat Maritime. "These 12 companies are at the forefront of delivering high-quality and cost-effective solutions to shipping fleets. They will not support a service unless they know it offers demonstrable value to their customers – value that is future-proofed with the transition path to Global Xpress. "Several of the dealers we have announced today have already closed deals and we expect more soon," he concluded. A total of 102 incidents of piracy and armed robbery were reported during the first quarter of this year, according to figures released by the International Chamber of Commerce (ICC) in the International Maritime Bureau’s (IMB) global piracy report. Some 11 vessels were reported hijacked worldwide, with 212 crew members taken hostage and four crew killed. A further 45 vessels were boarded, with 32 attempted attacks and 14 vessels fired upon – the latter attributed to either Somali or Nigerian pirates. Noting the increasing problems off West Africa, the report said that 10 reports were received from Nigeria in the beginning of this year, equalling the same number reported for the whole of the area last year. A further attack in neighbouring Benin was also attributed to Nigerian pirates. These reports include the hijackings of one product and one chemical tanker, resulting in a total of 42 crew members taken hostage. Attacks in Nigerian coastal waters have also resulted in at least three crew kidnapped from their anchored vessel, the report said. “While the number of reported incidents in Nigeria is still less than Somalia and hijacked vessels are under control of the pirates for days rather than months, the level of violence against crew is dangerously high,” Mukundan warned. Somalia continued to dominate figures with 43 attacks, including the hijacking of nine vessels and the taking hostage of 144 crew. But while the number of 2012 incidents and hijackings are less than reports for the same period in 2011 (97 incidents, 16 hijackings), it is unlikely that the threat of Somali piracy will diminish in the short to medium term unless further actions are taken, the IMB said. The report attributed the reduction in overall attacks to the disruptive actions and pre-emptive strikes by the navies in the region, which disrupted numerous pirate action groups, emphasising the importance of the navies in both deterring and combating Somali piracy. The application of Best Management Practices and the increasing use of privately contracted armed security personnel (PCASP) also contributed to the decrease in the hijackings. More vessels with PCASP were reported in the first quarter than those not carrying armed personnel, the report said. “The EU announcement to expand their anti-piracy mission to target pirates ashore is another welcome move that could further threaten the Somali piracy model,” Mukundan said. As of 31st March 2012, suspected Somali pirates still held 15 vessels with 253 seafarers as hostages, with an additional 49 crew members being held hostage on land. Elsewhere, the report said that there were noticeable increases in the number of armed robbery attacks in the Indonesian archipelago, up from five in 1Q11 to 18 in 1Q12. *Meanwhile, pirates have released the 16,631 dwt chemical tanker ‘Enrico Ievoli’ and its crew, Italy's foreign ministry confirmed on Monday. 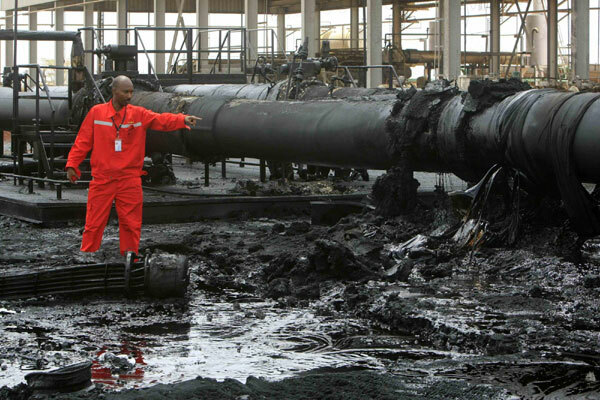 A storage tank at Sudan's primary oil processing facility in Heglig has been destroyed in a fire. 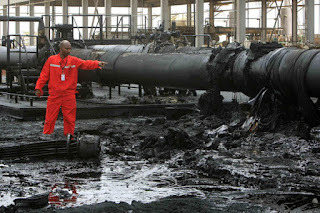 Eight generators were also damaged in the blaze and oil is reportedly leaking onto the ground. This occurred after South Sudanese troops entered the area last Thursday. The plant, which is operated by the Greater Nile Petroleum Operating Company (GNPOC) will reportedly find it very difficult to initiate production again after this incident. GNPOC is a joint operating company owned by China's CNPC and Petronas of Malaysia. The area's average daily output of 60,000 barrels, which is equal to nearly half the country's total, has reportedly fallen to 40,000 barrels due to civil unrest and conflict. 14 out of the National Iranian Tanker Company's 25-strong fleet of large crude oil carriers are reportedly anchored in the Gulf, acting as floating storage. Each of these carriers has an approximate 2 million barrel capacity, and are stationed along with five of Iran's Suezmax tankers, each with a capacity of one million. The land-based storage tanks, with a total capacity of 23 million barrels, are full, and the sea storage is able to provide 33 million barrels of extra capacity. This is in reaction to Iran's recent difficulty in selling oil that has occurred due to sanctions causing a reduction in the demand of buyers. Ghana has initiated negotiations with the China Exim Bank (CEB) for a $ 6-billion loan facility which will be used to accelerate social infrastructural development. The amount is separate from the $3 billion facility already granted to Ghana by the Chinese Development Bank (CDB) for processing of gas from the Jubilee Oil Fields and other projects. An amount of $1 billion out of the already granted $3 billion loan is due for disbursement from the CDB for gas processing while the other $2 billion to be released later would cater for the Takoradi Harbour expansion project, the Western railways lines rehabilitation and the Accra Plain irrigation among others. The Vice President, Mr John Dramani Mahama, made this known at the Kotoka International Airport on his return from China yesterday. Explaining the $6 billion, Mr Mahama said when discussions and all documentation were completed, the amount would come in $ 2-billion tranches and would be used for social infrastructure such as education, health, electricity and water. 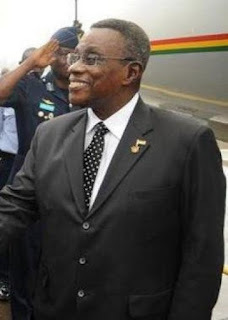 He was frank that discussions on the $ 6 billion had not been pursued with all the force required, but noted that during one of the meetings, the Chairman of the Exim Bank gave assurance that things would be facilitated. 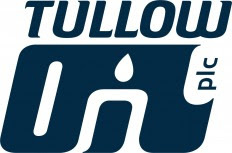 Tullow Oil Plc (TLW), a U.K.-based oil and gas explorer, said two wells in Sierra Leone and Ivory Coast encountered water-bearing reservoirs. The Mercury-2 well in Sierra Leone intersected more than 270 meters of reservoir quality sandstones which that were water bearing with oil shows, the company said in a statement today. The Kosrou-1 well in Ivory Coast encountered 90 meters of reservoir quality sandstones. “The existence of thick sandstone fairways and a working hydrocarbon system, proven by every well in our exploration campaign, mean that our West African Transform Margin acreage remains highly prospective,” Tullow Exploration Director Angus McCoss said in the statement. Tullow is trying to add reserves after unlocking new oil provinces in Uganda, Ghana and French Guiana, where it has found about 4 billion barrels since 2007. The explorer’s shares fell in February when it announced that its Jupiter-1 well in Sierra Leone might not be commercial. The stock pared gains today after rising as much as 2.6 percent, to 1,561 pence. It traded at 1,527 pence at 1:16 p.m. in London. April 18 (Reuters) - Halliburton Co, the world's second-largest oilfield services company, on Wednesday reported higher quarterly profits as North American revenue reached a record high, lifting its shares in premarket trading. First-quarter profit rose to $627 million, or 68 cents per share, from $511 million, or 56 cents per share, a year ago. Excluding a $300 million charge for estimated losses from the BP Plc Gulf of Mexico oil spill two years ago, Halliburton's earnings per share of 89 cents topped the average analyst estimate of 85 cents, according to Thomson Reuters I/B/E/S. Revenue rose to $6.9 billion. Halliburton's shares rose 1.7 percent in premarket trading to $33.20. Kinder Morgan says it is to continue with its plans to extend the Trans Mountain pipeline system, which is expected to cost about $5 billion (€3.8 billion), thanks to strong commitments during the recent shipping season. Because of a number of existing and new shipping companies submitting 660,000bpd as a binding commercial support for the coming 20 years, Kinder Morgan has decided to continue with the development. The expansion will up the Trans Mountain pipeline from its current capacity of 300,000bdp to a new capacity of 850,000bpd. The development will involve adding new pump stations along the pipeline route, increasing the number of storage tanks at existing facilities, and expanding the Westridge Marine Terminal. ‘We anticipate filing a facilities application initiating a regulatory review with the National Energy Board in 2014. If our application is approved, construction is currently forecast to commence in 2016 with the proposed project operating by 2017,’ Anderson continues. Ghana signed a $1 billion lending agreement with China Development Bank Corp. as part of the biggest loan in the country’s history that Vice President John Dramani Mahama said would provide hundreds of thousands of jobs and develop natural gas. Ghana signed an $850 million agreement for a gas project between the Ghana National Gas Co. and China Petroleum & Chemical Corp. (600028) in Beijing and the rest for information technology projects, Mahama said. The total amount of the loan will eventually be $3 billion and Ghana will send China 13,000 barrels of oil a day that will be sold at market price on the day, he said. China is Africa’s largest trading partner and has signed agreements worth billions of dollars with governments on the continent, seeking natural resources to feed its economic growth in exchange for building roads and railways, and nurturing a market for its products. The Ghanaian oil is not being used as collateral for the loan, Mahama said. The money will not be paid off using the country’s natural resources, he said. China’s Export-Import Bank lent $67.2 billion to sub- Saharan Africa between 2001 to 2010, overtaking World Bank lending of $54.7 billion, Fitch Ratings estimated in a Dec. 28 report. Beijing-based China Development Bank has handed out $7 billion to more than 30 countries in Africa, Wang Yuan, the bank’s chief economist, said Nov. 5. “We still continue to rely on multilateral funding from the World Bank and the IMF but we need quite some massive amount of money for investment in infrastructure and we find it is easier to go to the BRIC countries,” he said, referring to Brazil, Russia, India and China. The deal would help complete another 45 kilometer (28 mile) pipeline to bring natural gas to the shore, officials told reporters. A plant to process gas for power generation that would be piped to the Western region will be built, with Sinopec as the contractor, Mahama said. Ghana’s rising debt levels are a concern as the government risks overspending before this year’s elections, restricting the West African nation’s credit rating, Fitch said in November. 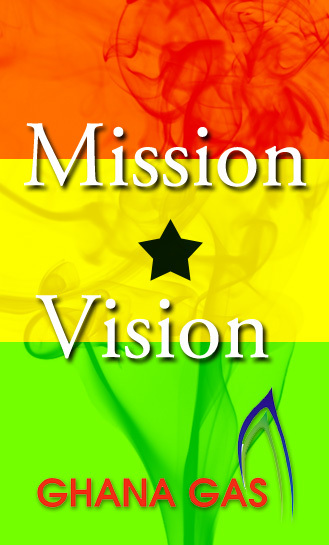 Ghana’s borrowing comes eight years after Ghana won $3.5 billion in debt relief from the IMF and the World Bank. Ghana’s oil find will add about a $1 billion annually to the national revenues, officials said in Beijing. China imported 132,208 tons, or 2,655 barrels a day, of oil from Ghana in 2011, which is 0.05 percent of China’s total 2011 oil imports, according to customs data. Ghana began production of crude for export at its offshore Jubilee field in December 2010. China Development Bank is the largest bank for overseas financing with foreign-currency loans outstanding of more than $200 billion, according to its website. It also runs the China- Africa Development Fund, which has committed almost all of its first $1 billion, Chi Jianxin, the head of the fund, said in December. The VLCC rate rise seen since the start of March could soon come to an end, a leading consultancy has warned. VLCC rates and TCE revenues have been elevated to levels that owners perhaps thought had been consigned to history. In the market of elevated bunker prices, oversupply of tankers and declining Iranian export volumes, the steady increase seemed to have caught some market participants by surprise, McQuilling Services said in its latest report. Although there are factors that should provide a floor to rates, some circumstances that have been supporting rates are likely to gradually vanish in the coming weeks. For example, in the Middle East, the inauguration of the single point mooring (SPM) facility at Iraq’s southern port of Basra recently experienced several technical issues. This resulted in some 20 vessels waiting to load cargoes, for as long as 25 days. However, reports have indicated that these issues have now been resolved, resulting in the dissipation of the backlog, as the vessels re-enter the spot market. Further support for liftings out of Iraq is augmented by recently published data from Iraq’s State Oil Marketing Organisation. Data from March showed that exports hit 2.32 mill barrels per day, the highest level seen since 2003. 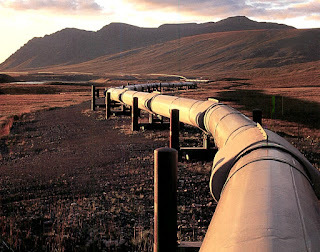 However, optimism could be tempered from early April reports of a pipeline explosion in Northern Iraq that carries 500,000 barrels per day of crude to Ceyhan, Turkey, slashing export volumes. This will have a greater impact on the Aframax market while highlighting the potential for instability in that country. Other loading delays in the Middle East stemmed from drier than usual conditions combined with windstorms. Reports have also surfaced that a lack of ullage is prohibiting some tankers with cargoes of Arab Heavy from discharging in the US Gulf. These short-term effects have supported the market but should now gradually disappear, McQuilling said. The widespread adoption of slow steaming is also reducing available vessel capacity. Previously, this method of cost savings was not employed by all owners and some charterers kept the speed requirements in charter parties at the same level as in previous years. However, the steady rise of bunker prices and tight market conditions means that charterers may be required to pay a premium for any optional speed increases. The slower speeds prevalent in today’s market results in an additional supply capacity, which can be quickly reactivated by raising sailing speeds. If the high freight rates persist this situation could materialise, McQuilling warned. The tightening sanctions against Iran have resulted in ships being sent further afield for loadings, especially for discharge in India and China. These loading areas are primarily in the Americas, Caribbean and West Africa. During the first three months of 2012, loadings from these regions have increased almost 10%, according to McQuilling’s proprietary data. Western sanctions have also removed almost all of the 25 VLCCs operated by NITC. 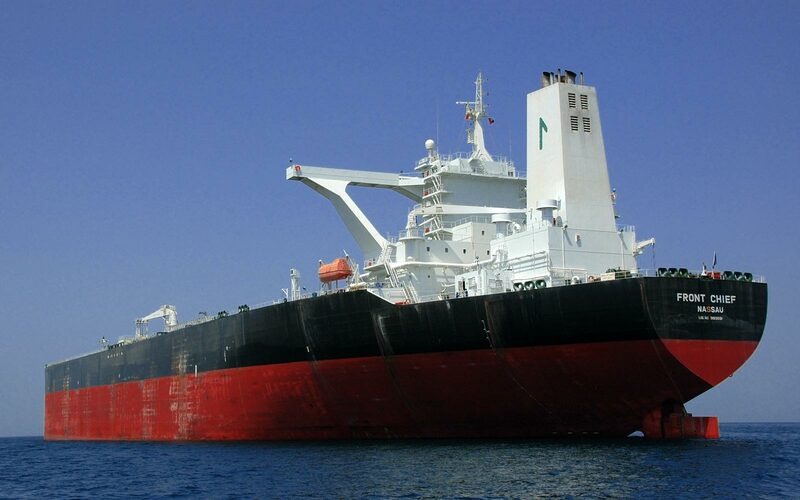 Some 300,000 barrels per day of Iranian crude oil exports is being taken out of the market and the vessels are believed to be currently employed for floating storage. In response to security of supply issues, the importance of maintaining strategic petroleum reserves (SPR) is of utmost importance to governments - China included. The EIA has forecast that China has some 79 mill barrels of SPR to fill in 2012, which is equivalent to about 220,000 barrels per day, or one VLCC every nine days. The decision to purchase barrels for SPR is influenced by several factors, but one can reasonably assume some vessel capacity is being absorbed, McQuilling said. Tanker pools and owners of large fleets are also having a significant effect on rising rates. 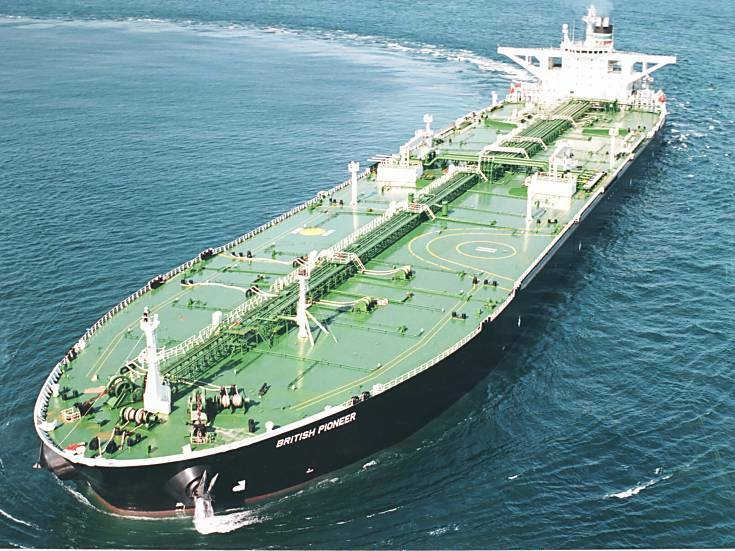 This category includes seven tanker owners and fleet pools that control about 180 vessels. After dismal 2011 earnings, these operators are closely monitoring returns and not simply accepting rates that cover operating expenses. In an effort to push rates higher these owners are allocating their assets to counterparties that pay a premium. Looking ahead, if Iran resists the pressure to dissolve their nuclear programme, further disruptions to oil supplies will occur. This sourcing of new supplies should benefit tanker owners, as vessels will be employed on longer haul routes. Rates out of the AG could experience a boost, as some vessels would likely ballast out of the region. However, the delivery schedule from previous years’ orderbooks hangs over these positive developments like a dark cloud, the consultancy warned. Through the end of March, 11 VLCCs were delivered from shipyards, which compared to McQuilling’s year-to-date expectation of 16, had limited the pressure on the market and helped boost rates. However, with the possibility of 62 VLCCs entering the market this year, there is still plenty of concern regarding vessel supply. 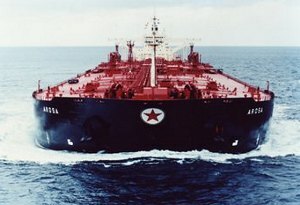 Owners of older tankers (1993-1997) will continue to feel the pressure of terminal and charter requirements, which could raise the exit profile. "Based on these factors, we do not forecast a massive improvement in rates in the coming weeks and believe the market cycle has yet to make an upward turn," McQuilling concluded. Canadian air carrier Porter Airlines is due to fly a commercial, biofuel-powered aircraft later this month, making it the nation's first carrier to do this. The flight comes after Porter's biofuel test flight, which took place in February earlier this year. Porter will operate one of its Bombardier Q400 turboprop airliners on a 50/50 blend of biojet and conventional fossil aviation fuel. According to the airline, these aircraft already offer reduced emission output compared to other craft. They consume 40% less fuel and produce up to 40% fewer emissions than the older aircraft previously used by Porter. 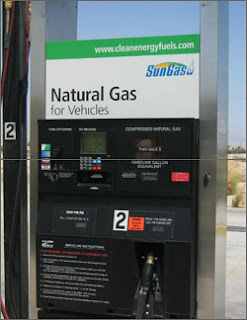 The biofuel portion of the jet fuel was produced from two varieties of oilseed – Camelia sativa and Brassica carinata. During Porter's trial flight the aircraft performed a series of manoeuvres to test engine performance. The results showed that the biofuel mix had no negative impact on aircraft performance, as it successfully completed engine-out climbs, rapid engine accelerations and cruising. Porter's commercial flight will take place around the same time as Earth Day to highlight the importance of biofuels towards helping the aviation industry meet the CO2 targets imposed by the International Air Transport Association. It’s more than “interesting” that platinum prices are lagging gold. Gold has risen nicely since the meltdown following Lehman’s collapse, with the gold price in dollars rising 130%. Until last summer, however, platinum had done better still. Indeed, a trader “could have made a lot of money buying platinum and selling gold since Lehman Brothers,” as Philip Klapwijk, executive chairman of GFMS said Wednesday, taking analyst questions after launching the precious-metals consultancy’s new Gold Survey 2012 at Thomson Reuters‘ HQ in London. Over the 34 months to August 2011, the white metal rose 150%, recovering faster at first even than the gold price. But it needed to, however, after it dropped two-thirds of its dollar price between March and December 2008. Since last summer, platinum has slipped faster than gold. 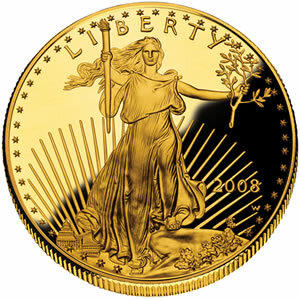 More notably, it’s slipped below the gold price itself, something seen for only three trading days in December 2008 in the immediate aftermath of Lehman’s bankruptcy. Before that, you have to go back to the recession of 1991…the peak of the “strong dollar” disinflation of 1984…the global stock market’s once-in-a-generation low of 1982…and gold’s big tops of Jan. 1980 and Dec. 1974 to find platinum trading cheaper than the gold price. Gold’s latest incursion above the platinum price is “interesting,” said GFMS’s Klapwijk on Wednesday. But scary might be closer to it. Running for 145 of the last 172 trading days, it’s getting to be something of a habit, too. “There’s a case to be made for the white metal being priced at a premium to gold,” as Klapwijk said. The two metals’ scarcity in the earth’s crust is about the same, but platinum deposits tend to be more diffuse, making extraction more costly. On the demand side, it is clearly more “useful” than gold too, with one third of annual output going to industry and another third going to make auto-catalysts according to platinum experts Johnson Matthey. 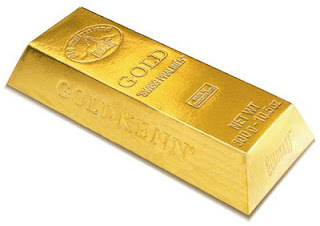 Fully 85% of global gold demand, in contrast, is for store-of-value or adornment. And there’s the rub. The vast majority of investors will always prefer gold over platinum, as Klapwijk noted this week, because its store-of-value use is so very much greater than platinum’s. You could ascribe that to 50 centuries of habit, gold being “the universal prize in all countries, all cultures and in all ages,” as physicist and polymath Jacob Bronowski put it in his Ascent of Man. Today that history is supported by the second, stronger point which Klapwijk made Wednesday: gold’s relative lack of industrial use. That makes it a far better defense against the kind of economic turmoil suffered since our financial crisis broke in mid-2007 (platinum up 24%, the gold price up 153%), as well as the economic crises of the mid-1970s and early ’80s. Over the last 9 months in particular, Europe’s economic crisis has affected its vehicle demand, GFMS points out. That means lower demand for diesel engines and thus platinum-based catalysts worldwide. Gold may have suffered similarly lower demand amongst Western jewelry consumers, but Eurozone investors have stepped in to pick up that slack. And their counterparts in Asia are buying gold with both hands, according to GFMS’s new Gold Survey 2012, along with pretty much anyone else who cares to look. the number of unsold May cargoes. "All grades are under pressure, specifically in Nigeria,"
said a West African crude oil trader. sources said, further cutting demand for West African grades. unsold for May, including tankers for loading May 8-9 and 19-20.
days of May to remain at this stage in the month. * Nemba: Galp sold its May 9-10 cargo to CPC, traders said. to be around dated minus 50 cents. delivery via a tender, sources said. a previous tender for May, BPCL bought Akpo from Glencore. what I would expect, and they'll probably be Nigerian barrels." Inadequate facilities and undue delays at the Takoradi Port have compelled oil service providers supporting operations on the Jubilee Field to redirect their vessels to neighbouring countries. Currently, supply vessels at the port are still competing with cargo vessels for space. This is notwithstanding additional space provided by the Home Port of the Western Naval Command to take care of the increasing number of vessels. Industry players who spoke to graphic.com.gh said the delays encountered before they entered the port to take supplies cost them as much as $30,000. Container traffic at the Takoradi Port over the past three years continues to increase, without a corresponding increase in the facilities at the port. 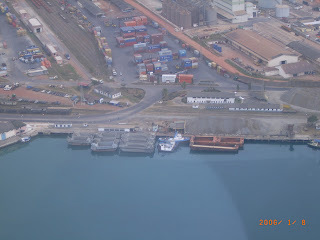 Records indicate that container traffic at the port increased from 47,828 in 2009 to 53,041 in 2010 and 56,595 in 2011. In the case of vessels, traffic at the port increased from 956 in 2009 to 1,798 in 2011. The Takoradi Port currently has six berth spaces. One of them has been dedicated to vessels for the export of manganese and another has been leased to the lead operators among the Jubilee partners. At the moment, the anchorage of the port, which used to be very free, is inundated with supply vessels and other vessels trying to enter the port. The deepest part of the port has been allocated for the discharge of bulk cargo and, therefore, other vessels have to wait at the anchorage at a great cost to shippers. The country, according to some of the agents of vessels, could lose huge businesses and revenue to neighbouring countries unless immediate steps were taken to expand the facilities. Some of the agents said the port had reached its limit and that expansion work had to start immediately. When contacted, the Director of the Takoradi Port, Mr Gordon Anim, acknowledged the problem, saying the current berth space at the port could not contain the flow of traffic. The port authority, he said, had realised that since the oil find, supply vessels that called at the Takoradi Port had increased without a corresponding increase in the berth space for them. Mr Anim said to save the situation, the port was doing everything possible to ensure that the supply vessels were given more attention to ensure quick turnaround time to support the offshore operations. Asked what would be the permanent solution to the problem, Mr Anim said the best would be to expand the port, a solution which had been part of the authority’s agenda. He said the port was very much aware of the need for not only more berth space but also deeper berth place to contain the flow of traffic. When contacted, the Western Regional Manager of the Ghana Shippers’ Authority (GSA), Ms Monica Josiah, acknowledged that the port was busy and its shippers had some challenges. She said the important thing to look at immediately was to ensure that services at the port did not delay in order not to add up to the congestion. Ms Josiah advised members of the GSA to ensure that their documentation was up-to-date to reduce long delays of their vessels at the port. LONDON (Dow Jones)--Oil prices fell Tuesday on disappointing Chinese trade data, hopes that tensions over Iran's disputed nuclear program will ease as the Islamic Republic resumes talks, and in anticipation of another increase in U.S. crude inventories. At 0954 GMT, the front-month May Brent contract on London's ICE futures exchange was 87 cents, or 0.7%, lower at $121.80 a barrel. The front-month May contract on the New York Mercantile Exchange was trading down 55 cents, or 0.5%, at $101.91 per barrel. China, the world's second-largest oil consumer, reported a wider-than-expected March trade surplus, sparking fears of a slowdown in the economy, which could result in lower demand for oil. "With Chinese GDP data due out later this week, there are concerns that China is in for a 'hard landing' which could potentially harm global growth and shift the focus on Asia," London Capital Group said in a note. At the same time, strong Chinese crude oil imports suggest Brent and Nymex crude futures are unlikely to fall below the $120 a barrel mark and the $100 a barrel mark respectively, Commerzbank said. "China raised prices at the pump for gasoline and diesel in March, improving profitability for the refineries and thus pointing to continued high levels of crude oil imports to the country," the bank said in a note. Meanwhile, the resumption of nuclear talks between Iran, a leading oil producer, and the five permanent members of the U.N. Security Council plus Germany, pressures oil prices. "Traders look to be unwinding earlier supply tightening trades," said London Capital Group. Weak U.S. payrolls data released last Friday also continue to pressure crude prices, as the numbers weren't priced in due to a holiday in the U.K., said Kjus. The U.S. is the world's largest oil consumer, and an economic slowdown in the country--as well as in China--could significantly cut global demand for oil. Later Tuesday, market participants will focus on a U.S. crude inventories survey by the American Petroleum Institute, an industry body. The data are due 2030 GMT. Six analysts surveyed by Dow Jones Newswires expect the inventories to have risen by 1.7 million barrels in the week ended April 6. At 0954 GMT, the ICE's gasoil contract for April delivery was up $5.75, or 0.6%, at $999.00 per metric ton, while Nymex gasoline for May delivery was 100 points, or 0.3%, lower at $3.2867 per gallon. NEW YORK (AP) -- The U.S. natural gas market is bursting at the seams. So much natural gas is being produced that soon there may be nowhere left to put the country's swelling surplus. After years of explosive growth, natural gas producers are retrenching. The underground salt caverns, depleted oil fields and aquifers that store natural gas are rapidly filling up after a balmy winter depressed demand for home heating. The glut has benefited businesses and homeowners that use natural gas. But with natural gas prices at a 10-year low — and falling — companies that produce the fuel are becoming victims of their drilling successes. Their stock prices are falling in anticipation of declining profits and scaled-back growth plans. Some of the nation's biggest natural gas producers, including Chesapeake Energy, ConocoPhillips and Encana Corp., have announced plans to slow down. "They've gotten way ahead of themselves, and winter got way ahead of them too," says Jen Snyder, head of North American gas for the research firm Wood Mackenzie. "There hasn't been enough demand to use up all the supply being pushed into the market." So far, efforts to limit production have barely made a dent. Unless the pace of production declines sharply or demand picks up significantly this summer, analysts say the nation's storage facilities could reach their limits by fall. That would cause the price of natural gas, which has been halved over the past year, to nosedive. Citigroup commodities analyst Anthony Yuen says the price of natural gas — now $2.08 per 1,000 cubic feet — could briefly fall below $1. "There would be no floor," he says. Since October, the number of drilling rigs exploring for natural gas has fallen by 30 percent to 658, according to the energy services company Baker Hughes. Some of the sharpest drop-offs have been in the Haynesville Shale in Northwestern Louisiana and East Texas and the Fayetteville Shale in Central Arkansas. But natural gas production is still growing, the result of a five-year drilling boom that has peppered the country with wells. The workers and rigs aren't just being sent home. They are instead being put to work drilling for oil, whose price has averaged more than $100 a barrel for months. The oil rig count in the U.S is at a 25-year high. This activity is adding to the natural gas glut because natural gas is almost always a byproduct of oil drilling. Analysts say that before long companies could have to start slowing the gas flow from existing wells or even take the rare and expensive step of capping off some wells completely. "Something is going to have to give," says Maria Sanchez, manager of energy analysis at Bentek Energy, a research firm. U.S. natural gas production has boomed in recent years as a result of new drilling techniques that allow companies to unlock fuel trapped in shale formations. Last year, the U.S. produced an average of 63 billion cubic feet of natural gas per day, a 24 percent increase from 2006. But over that period consumption has grown half as fast. The nation's storage facilities could easily handle this extra supply until recently because cold winters pushed up demand for heating and hot summers led to higher demand for air conditioning. Just over half the nation's homes are heated with natural gas, and one-quarter of its electricity is produced by gas-fired power plants. But this past winter was the fourth warmest in the last 117 years, according to the National Oceanic and Atmospheric Administration. It was the warmest March since 1950. Between November and March, daily natural gas demand fell 5 percent, on average, from a year earlier, according to Bentek Energy. Yet production grew 8 percent over the same period. "We haven't ever seen a situation like this before," says Chris McGill, Vice President for Policy Analysis at the American Gas Association, an industry group. At the end of winter, there is usually about 1.5 trillion cubic feet of gas in storage. Today there is 2.5 trillion cubic feet because utilities withdrew far less than usual this past winter. There is 4.4 trillion cubic feet of natural gas storage capacity in the U.S. If full, that would be enough fuel to supply the country for about 2 months. If current production and consumption trends were to continue, Bentek estimates that storage facilities would be full on October 10. Storage capacity, which has grown by 15 percent over the past decade, cannot be built fast enough to address the rapidly expanding glut. And analysts note there is little financial incentive to build more anyway. The low price brought on by the glut has increased demand for natural gas among industrial users and utilities. Makers of chemicals, plastics and fertilizers that use natural gas as a feedstock are expanding. Garbage trucks, buses and delivery vehicles are using more natural gas. Electric power producers are switching from coal to natural gas whenever possible. This won't add up to enough new demand quickly enough to relieve the pressure on storage facilities this summer. Scorching temperatures this summer would do the trick, but Mother Nature is not expected to cooperate. Temperatures this summer are forecast to be about normal, and much cooler than the last two summers, says David Streit, a meteorologist at Commodity Weather Group expects. Sultry winters, he said, do not usually develop into sultry summers. 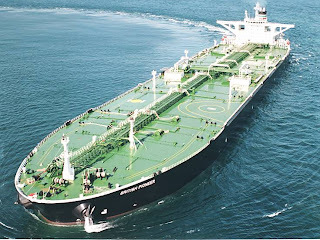 There is presently greater oil demand than at any time since the economic crash in the autumn of 2008 pushing up rates for large tankers, said a recent tanker market report. Oil prices have been rising with the concerns of potential shortages, due to the threatened loss of Iranian crude, as well as production shortfalls from less influential producers, which has added to the rush to secure supplies, said Gibson Research in its latest weekly report. Among the OPEC producers who have stepped up production are Angola, Iraq and Libya, replacing lost barrels and perhaps more importantly adding tonne/miles. However, in any oil crisis, it is Saudi Arabia the world looks towards to fill any shortfall and in the hope of instigating correction to oil prices. Saudi Arabia has had a long history of increasing production and supporting the oil markets in the event of a crisis. “Today, we are experiencing more cargo loading, albeit in a different scenario to the booming economic times prior to the crash in 2008. At that time burgeoning oil demand pushed prices up to record levels - now the threat to supply and the necessity to ensure stocks remain high appears to be paramount,” the report said. Crude oil stocks in the US are currently at their highest levels since August last year. At the same time, European, the Middle East and Asia inventories are also at high levels. "Given the situation, it is not surprising that we are currently witnessing a surge in VLCC spot earnings, at the same time as utilisation of this fleet is up over the first quarter of this year," Gibson said. Several factors appear to be combining to provide owners with a very welcome respite from the dire market of recent times. For example, Saudi Aramco’s chartering arm Vela recently entered the spot market taking a number of VLCCs. China also came back into the spot market, further reducing the pool of available tonnage. With a reduction of available VLCC tonnage and increasing demand, fundamentals have led to a tightening of tonnage in the East. Less than six months ago, earnings on the benchmark MEG-Japan (TD3) route were at negative values. Slow steaming was universally adopted by owners as bunker costs continue to climb with the oil price. Also, the increasing pressure on Iran has added tonne/miles as more countries move towards the tougher sanctions against Tehran. “We are currently witnessing the highest earnings for the VLCC sector since the crisis in Libya last year. There is every chance that this recovery could be sustained, or go even higher, if the uncertainty surrounding Iran remains,” Gibson concluded. Magellan Midstream Partners says it is investing $1 billion (€750 million) into new facilities with between 60-75% of them relating to crude oil. Previously the company announced plans worth $650 million but it also is considering further developments worth $500 million. The company mostly focuses on storing and transporting refined products, making 90% of its operating profits from this type of petrochemical. Magellan is connecting the booming oil production regions of the Permian Basin and the Eagle Ford Shale in the US to the Texas Gulf Coast, as it has storage facilities in Houston and Corpus Christi. Because a large amount of oil is expected to come from these regions in the coming years, Magellan plans to build further infrastructure to accommodate these petrochemicals. Tesoro Corporation and Tesoro Logistics have bought the Martinez Crude Oil Marine Terminal in Martinez, California, for $75 million (€57 million). 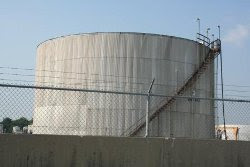 The terminal is situated on the Sacramento River near Tesoro's Martinez refinery and features a single berth dock, tank storage for crude oil with a capacity of 425,000 barrels, and pipelines. The facility has a throughput of 145,000 barrels a day. Tesoro paid $67.5 million for the facility in cash and used its equity valued at more than $7.5 million for the rest of the payment. Tesoro and the partnership have signed a 10 year terminalling agreement with a minimum throughput commitment. The company estimates that the terminal will make it $15 million in incremental revenue. Energy company Kinder Morgan has completed the build on its 16” ethanol pipeline between its unit train facility in Linden, New Jersey in the US, and its New York Harbor terminal in Carteret, New Jersey. The pipeline has a full automation and a state-of-the-art leak detection system. The terminal in Linden handles about 36,000 barrels of ethanol a day, storing 550,000 barrels through the Citgo Petroleum’s Tremley Point terminal, which has a truck rack, barge and ship dock. The project is part of a $60 million (€46 million) expansion at Carteret, which has increased its storage by 1 million barrels to just under 8 million barrels. The new pipeline will have access to four barge docks and two ship docks at Carteret and also allows the storage capacity at the Linden terminal to now be expanded. Ethanol customers will also be able to access a unit train receiving system. At Carteret, Kinder Morgan estimates a further 195,000 barrels will be used for ethanol services. Salaries and benefits, as well as proprietors’ income — made by those working in the industry accounted for 7.7% of the state’s total labor income. This is the eighth-largest share in the country. The oil and gas industry appears to have a greater effect on Louisiana’s economy than it has in some states with even more crude oil reserves. For instance, the state has 17 oil refineries, the third most in the country, and the oil and natural gas industry accounts for 15.1% of total employment in the state — the second-largest share in the country. The industry also supports just under 23% of the state’s economy — also among the country’s highest rates. In general, Utah has a strong economy. Its unemployment rate is significantly lower than the national average, and from 2005 to 2010, median household income in the state increased by more than 14% — one of the country’s highest rates. The state also sits on top of nearly 400 million barrels of crude oil. The oil and natural gas industry accounts for 7.4% of the state’s economy. While this is only the 14th largest share, it is still quite significant. Wyoming has the second-lowest population density in the country — and lots of oil. As a result, nearly one in six residents work for the natural gas and oil industry, either directly or indirectly. This is the largest share in the country. Just under 20% of labor income is produced in the industry — also the highest rate. Compared to 2005, residents of Wyoming are now making more money on average. Median household income has increased by 15.8%, the second most in the nation. Oklahoma has six oil refineries — the fourth most among states — to accommodate its vast reserves of crude oil. The state’s oil and natural gas industry supports nearly 300,000 jobs in the state, or 14.1% of total employment. This is the fourth-largest share in the country. The industry also accounts for 19.3% of the state’s total labor income — the largest share among all states. from 5.8% to 7.9%. While this is a significant increase, it is among the lowest increases in the country for this period. North Dakota has one of the strongest economies in the country. The state currently has an unemployment rate of just 3.2% — the lowest among all states, and even lower than its 2004 rate of 3.5%. From 2005 to 2010, median household income in the state increased by 18.6%, the country’s highest rate. The state is currently experiencing an oil boom, with crude production in January jumping by 59% from one year prior. The oil and natural gas industry supports 11.8% of the state’s economy — the sixth-largest share in the country. California is the third-largest state by size, and sits on top of the third-largest amount of oil. As a result, the state is home to 19 refineries — the second most in the country. This oil contributes a significant amount to the economy, supporting 7% of the state’s total gross domestic product in 2009. The industry also supports more than 900,000 jobs, or 4.6% of total state employment. While the share is rather small, the absolute total number is the second largest in the country. Alaska, the nation’s largest state by size, is home to more than three and a half billion barrels of crude oil. The oil and natural gas industry supports 16.9% of the state’s economy. It also accounts for 10.3% of jobs in the state — the fifth-largest share in the country. The industry likely will expand in the near future as more oil is accessed. 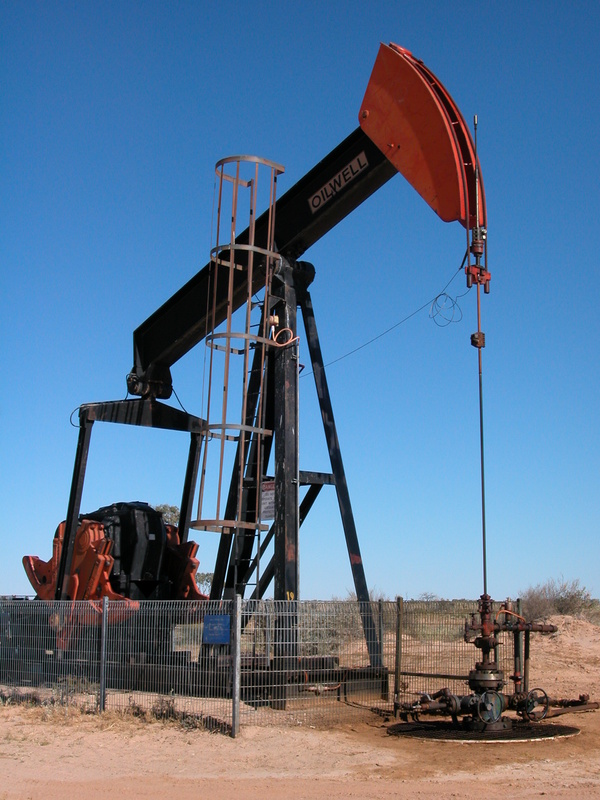 Texas is the nation’s largest center for oil, with more than 5 billion barrels of proven reserves. It is also home to 23 refineries, which add to the size of the sector. The oil and natural gas industry supports 24.3% of the state’s total economy, which ties with Wyoming for the nation’s largest share. The industry also is responsible for 14.3% of total employment in the state, both directly and indirectly, which is the third-highest percentage. In numbers, this represents nearly two million jobs — the highest in the country. The All India Gems & Jewellery Trade Federation said that members extended a strike for an 18th day to protest a levy on non-branded gold products. The dollar gained against a basket of currencies before the Federal Open Market Committee releases minutes of its March meeting. Gold futures for June delivery fell 0.2 percent to $1,676.30 an ounce at 10:50 a.m. on the Comex in New York. The metal rose 1.5 percent in the past two sessions. Before today, prices were up 7.2 percent this year. About 90 percent of jewelry stores across India were shut today, said Bachhraj Bamalwa, the federation’s chairman. Gold imports in March may have dropped to 15 metric tons to 20 tons, from 75 tons to 80 tons a year ago, the Bombay Bullion Association said yesterday. Second-quarter imports may slide to 150 tons, from 250 tons a year earlier, it said. The Federal Reserve will release minutes of policy makers’ March 13 meeting at 2 p.m. Eastern time. The central bank bought $2.3 trillion of debt in two rounds of so-called quantitative easing from December 2008 to June 2011. MOSCOW, April 2 (Reuters) - Russian oil output stood at 10.36 million barrels per day in March, unchanged from a post-Soviet monthly high in February, Energy Ministry data showed on Monday. Measured in tonnes, crude production in Russia, the world's top producer, was 43.8 million tonnes last month, the ministry said. Russia is broadly expected to increase output by 1 percent this year from last year's average of 10.27 million barrels per day if it can control declines at old West Siberian fields and sustain output growth from new fields in more remote provinces. Rosneft, whose new Arctic field, Vankor, is expected to be a key driver of those modest gains this year, said last week that the field, which is gradually ramping up output to peak production of 500,000 barrels per day next year, was about 18,000 barrels ahead of plan for the first quarter. A new export duty regime aimed at encouraging crude oil production and exports has yielded modest results, and producers are keen to capture gains in oil prices, which broke $128 per barrel this year, largely due to sanctions against Iran. Russian producers are capable of marginal production increases to capture high prices, but, unlike Saudi Arabia, its rival for the title of top world oil producer, has little capacity cushion to help ease supply shocks. The kingdom's oil output edged up to 9.9 million barrels per day last month, contributing to an overall increase in output by the Organisation of the Petroleum Exporting Countries (OPEC) which neutralised a fall in Iranian output. Daily gas production declined slightly after a bump in production to help meet elevated demand during a cold snap in early February. It totalled 62.19 billion cubic metres in March, or 2.00 billion cubic metres per day.